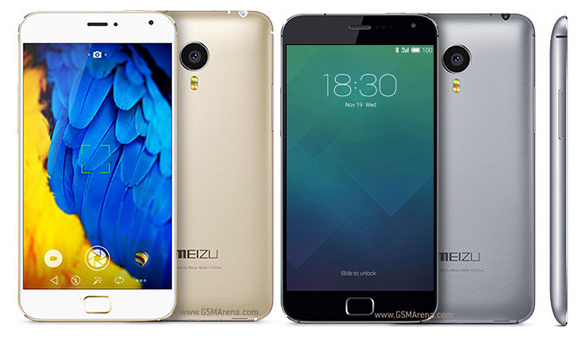 At a dedicated launch party in China today, Meizu officially revealed the MX4 Pro. The phone is built around a 5.5" Sharp-made display boasting 2560 x 1536 pixel resolution. It features very narrow bezels, measuring just 2.8mm wide and boasts a pixel density of 542ppi. Under the hood of the Meizu MX4 Pro operates a Samsung Exynos 5430 chipset with a quad-core 2.0GHz Cortex-A15 and a quad-core 1.5GHz Cortex-A7 CPU, 3GB of RAM and Mali-T628 MP6 GPU. Internal memory is available in 16GB, 32GB and 64GB flavors, but there's no microSD card slot available. At the back, the MX4 Pro uses the 20.7MP f/2.2 Sony-made camera with IMX220 Exmor RS sensor width dual LED flash. The front of the phone holds a 5MP f/2.2 selfie camera featuring the OmniVision OV5693 sensor. Connectivity on the Meizu MX4 Pro covers all the basics with NFC, dual-band Wi-Fi 802.11 ac, Bluetooth 4.0. There's no IR blaster, though, but the phone supports both TD-LTE and FDD-LTE networks using the same radio, which is impressive. The MX4 Pro also boasts a fingerprint sensor embedded in the home button below the display. The technology behind it is called mTouch and the sensor is covered with Sapphire glass and features a stainless steel metal ring. Meizu says the response time is 0.5s and the identification angle is 360 degrees. The phone runs Flyme 4.0 based on Android 4.4 KitKat. MX4 Pro sales start December 6 in China with a base price of $410 (CNY 2499). International pricing is yet to be detailed.